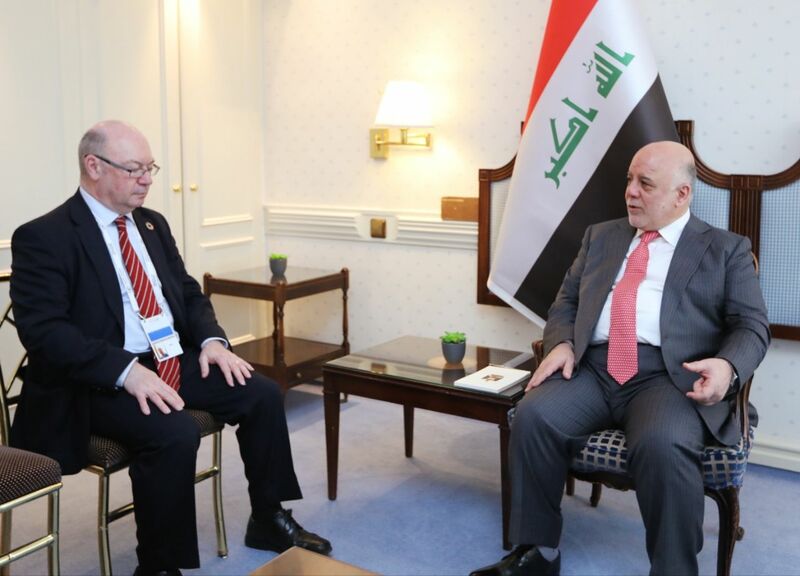 His Excellency Prime Minister Dr. Haider Al-Abadi and British Minister of State, Foreign and Commonwealth Office and Department of International Development Alistair Burt have discussed bilateral cooperation and Iraq's moving towards building, investment and Reconstruction, after the success of liberation operations and victory achieved over Daesh. His Excellency has confirmed the importance of strengthening cooperation in the next phase, which Iraqi government is focusing on the revitalization of the economy, the restoration of normal life and supporting the opportunities for growth and stability in all Iraqi provinces. The British minister has stressed his country's determination to stand with Iraq in the stage of stability, continuing to support the efforts of the Iraqi government and encouraging the work of British companies in the Reconstruction of infrastructure in all governorates, including Basra.